New energy. Planning for our future. Congratulations to Debra Lekanoff, the new State Representative from the 40th district! It was an absolute pleasure to get to know you during the campaign. You set a high bar, and pushed me to be a better candidate. I am proud that we could compete and still end as friends. I’m confident that you will do a great job for the people in NW Washington and I’m here to help in any way I can. I’m so full of gratitude for all of the support and encouragement and investment in me that were made during the primary campaign. As the 2018 campaign season wraps up, I’m reminded how valuable every volunteer hour, every donation and every vote really are. Working together we’ve pushed the community to confront some of our biggest challenges and we advanced bold ideas and big solutions and we should be proud of what we accomplished together. Thank you. Although I didn’t win this election, I take the investments in our shared work seriously; it is a privilege and a responsibility that I will steward. 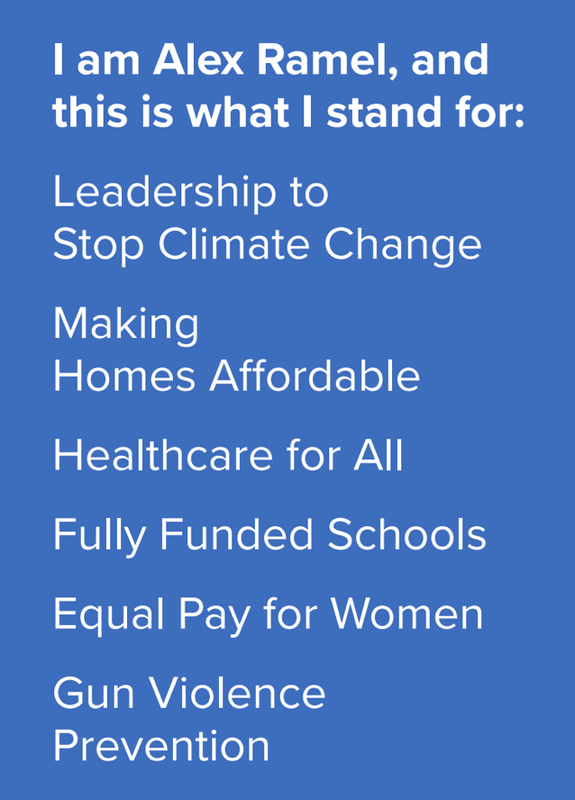 I’ll continue to use the platform that you have helped me to build to fight to stop climate change, to confront our affordable housing crisis and work for a more just and inclusive Washington State. The 2018 election season was filled with many successes for many Democrats, but there is so much more work to do. I’m looking forward to doing it together with all of you. ©2018 All Rights Reserved. Paid for by People for Alex Ramel.